Home Archive by category "Atlanta"
An Alzheimer’s or dementia diagnosis is life changing, and it is also a call-to-action. The sooner you can breathe through the initial shock and adjustment period, the better able you’ll be to create a long-term care plan that involves the input, opinions, and preferences of your loved one. Quick action also optimizes the time available to research and learn more about the Alzheimer’s journey before it progresses to mid- or later-stages. It also enables you to thoughtfully develop and assemble a financial plan that supports your loved one’s long-term care goals. There is only so much you can take in at a doctor’s appointment, especially in the wake of a confirmed Alzheimer’s diagnosis. The odds are that in addition to visiting your general practitioner, you’ll be referred to a neurologist. Hopefully, your healthcare team will provide plenty of information about Alzheimer’s via pamphlets, and allow ample time for your questions and answers. We recommend recording appointments (with the doctor’s permission), so you can listen back afterward. There are a wide range of reputable, online resources for learning about Alzheimer’s disease, keeping up on the latest research regarding medications and/or lifestyle changes that slow its progression, as well as information about the type of long-term care that’s most successful for those with mid- to late-stages of Alzheimer’s and dementia. The following are the most well-respected and current websites available. The US Department of Health and Human Services underwrites an organization called the National Institute of Health (NIH). Under this umbrella also lives the National Institute on Aging (NIA), which hosts an Alzheimer’s Disease page. This is a solid place to start when you want to learn everything you can about Alzheimer’s, including general descriptions of the disease, information about caregiving needs and options as well as up-to-date facts about current Alzheimer’s research. Another exciting thing about the NIA’s page is that it provides information about upcoming and existing clinical trials in which consenting adults can participate. Additionally, there is a wealth of educational resources about diet and lifestyle changes that help to prevent Alzheimer’s, slow down its progression and to improve the outcome for those diagnosed with Alzheimer’s. The Alzheimer’s Association is a leading voluntary health association dedicated to supporting Alzheimer’s research, providing information about Alzheimer’s and memory care, and connecting others with Alzheimer’s support in the Atlanta area and online. The Alzheimer’s Association was founded more than 30 years ago when a group of families and caregivers joined together to create an organization that would unite caregivers, provide support to those facing Alzheimer’s and advance research into the disease. Today, the AA has connected with and provided support to millions of people affected by an Alzheimer’s diagnosis and their website continues to be a premier resource for all aspects of Alzheimer’s information. Similar to the Alzheimer’s Association, the Alzheimer’s Foundation of America (AFA) was founded by individuals who are personally affected by Alzheimer’s. 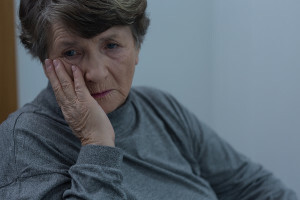 One of their most helpful resources is a national toll-free hotline, (866-232-8484), that is staffed entirely by licensed clinical social workers specializing in Alzheimer’s care, treatment and support. Like other non-profits, the AFA funds research and does everything possible to provide caregiver support and educate the public about Alzheimer’s, including information about confidential memory screening services available in Atlanta and elsewhere. Memory screenings are funded by generous donors and grantors and have been used to screen more than four million people nationwide. An Alzheimer’s diagnosis spreads ripples far beyond the lives of the patient, most powerfully impacting their spouse, immediate family and the next ring of family members and close friends. Having conversations with these individuals early establishes your first rungs of support. Often, individuals are reticent to share this information and may want to keep it a secret out of fear, feelings of embarrassment and shame, etc. While a short period of private adjustment is understandable, the sooner you feel comfortable having deep conversations with family and close friends, the better you’ll navigate a long-term care plan that makes sense for you and loved ones. Read, Guide for Talking to a Loved One About Memory Care, which also outlines how to bring close friends and family into the conversation. One of the first items of business is creating a memory care plan; again, this is one of the reasons early action is so critical. 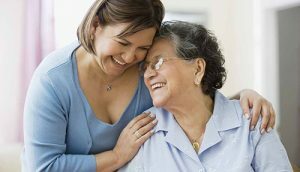 While it’s true people with early stages of Alzheimer’s can do fine for a bit by implementing in-home caregiving support, it’s also true that caregiving becomes quickly overwhelming for spouse caregivers. Thus, it makes sense to learn all you can about the full spectrum of options to add to your Alzheimer’s support and care kit. In almost all cases, those with Alzheimer’s fare best when they move to memory care communities earlier, rather than later, so individuals have time to feel at home and adjust to their new environment while they are still able to make decisions and be more fully present in their day-to-day lives. Once mid- to late-stage Alzheimer’s sets in, significant transitions are highly stressful for both patient and spouse. And, sadly, in the attempt to “preserve the status-quo” for as long as possible, the resulting stress and strain of the move can exacerbate their symptoms. In the beginning, while your loved one lives at home, you’ll need respite care. This invaluable service provides a break for primary caregivers. While respite care can be brought in, or offered by a local senior center, we recommend using respite care options offered by the assisted living or memory care centers you’re currently researching. It’s an opportunity to familiarize yourself with their grounds, services, programs, and staff and ask important questions to learn more about the community. Until recently, those with later-stage Alzheimer’s moved into assisted living and/or nursing home facilities. These are still options, but we recommend only considering facilities offering dedicated memory care services since the needs and care required for those with Alzheimer’s are different from that of the general assisted living population. 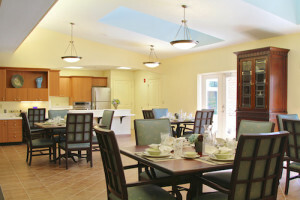 Read, How to Compare Assisted Living Facilities, for more information. 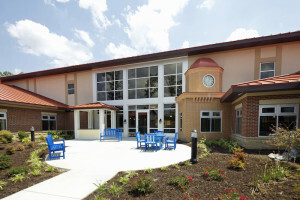 Dedicated Memory Care Centers are the best way to ensure patients live in supportive, stimulating and caring environments specifically designed and dedicated to those with Alzheimer’s and other forms of dementia. 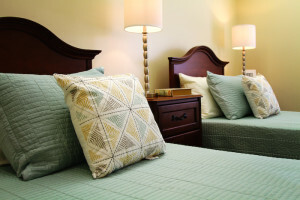 In addition to exemplary, round-the-clock care, high-quality memory care centers have on-site doctors, nurses, dental care, pharmacies, etc., to ease the transition for residents who are ill or require routine, managed care for existing medical conditions. Similarly, things like Town Center models, art and music facilities, classes and other amenities provide a sense of “normal life” and make it a pleasure for spouses, friends and family members to visit. Ultimately, memory care centers adhere to the Alzheimer Association Dementia Care Practice Recommendations, focused on tenets like person-centered care, on-site medical staff and supportive and therapeutic environments. All are proven to improve the quality of life for those with Alzheimer’s and dementia. Challenging conditions of an aging brain should be met with a supportive well-rounded community carefully planned for the individual. This not only includes access to all of the necessary resources for a high quality of life today but one that can adapt to who they are tomorrow.